Climbed on November 23, 2008. 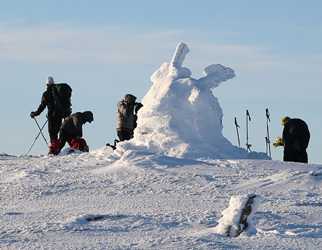 How to get there: This summit is located about 5 kilometer north of the railway station Uppsete. This station is a popular winter destination for mountain skiing. There is a local train connection to Voss (west), while the train serving the Oslo to Bergen route stops at nearby station Myrdal. One may have to travel east (the wrong way) with the local train in order to catch the train to Bergen from Myrdal. Route description: From Uppsete, head steeply up the small valley that climbs north, just a short distance west of the railroad station. This valley becomes wider further uphill, with the appropriate name of Breidalen. Continue north to the summit of Fossdalsskavlen. 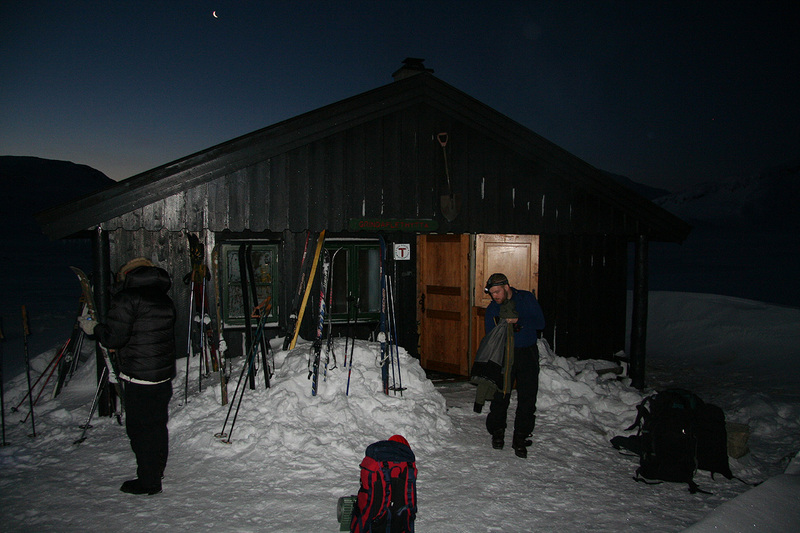 Comments: We climbed this mountain as part of a cross country ski from the DNT self service hut of Grindaflethytta on our way to the Uppsete railroad station. This ski route crosses a very nice mountain area and can be highly recommended. 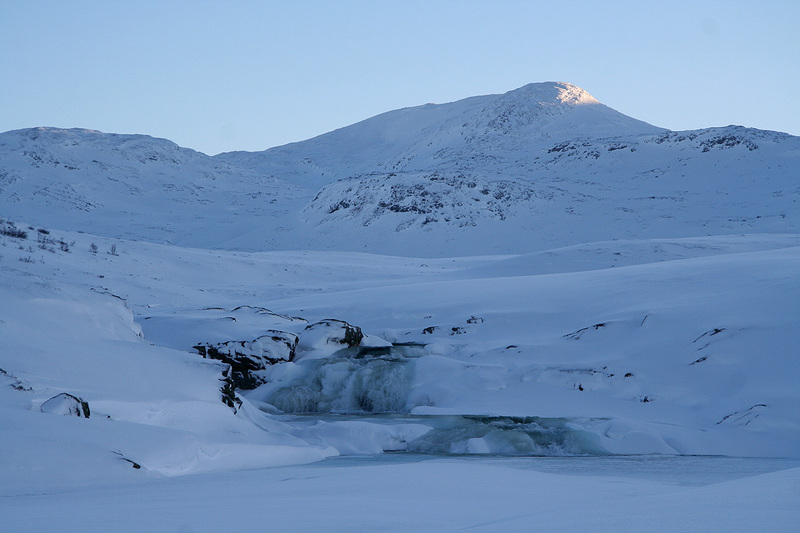 From Grindaflethytta, head south to Jøtebotnen (west of Raudeggi), then continue south along the east side of Stordalen and cross the river Vassetelvi just south of Hegganuten. Continue more south-east as you climb into Hestabotnen and into the saddle south of Grånesene (1441m). 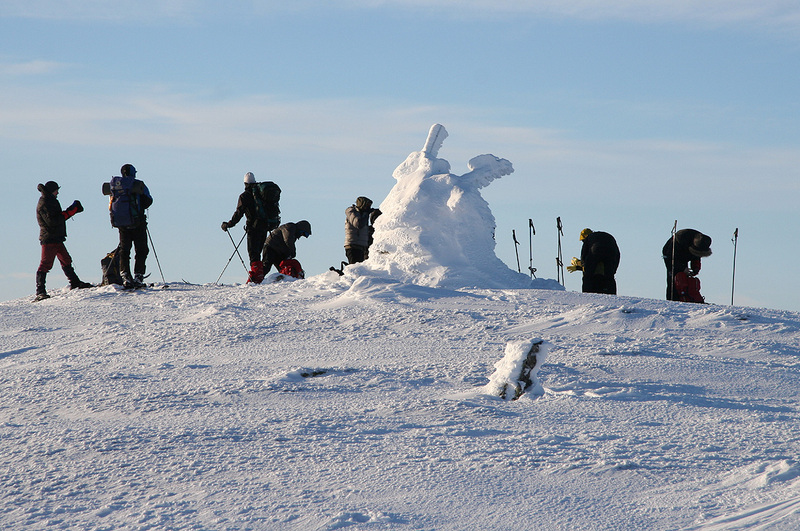 Turn more north-east and ascend gentle slopes to the summit of Fossdalsskavlen (1551m). This mountain has two summits. The slightly higher (location N60:45.973, E007:00.776) is to the west, while the east summit (location N60:45.928, E007:01.189) has the main cairn and a good view east and south. We left Grindaflethytta around 0900 and arrived at the summit at 1250. Leaving around 1310, we arrived at Uppsete at 1345 after a very nice (powder) downhill run. Grindaflethytta, November morning as we prepare to leave. Vassetelvi, a fairly large river that must be crossed on the route to Fossdalsskavlen. Såteggi, the mountains west of Stordalen seen while resting near the Vassetelvi river. 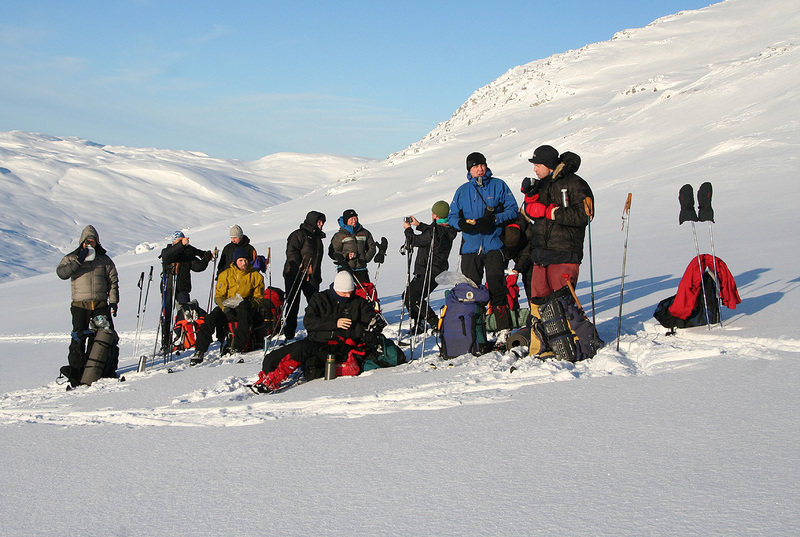 A sunny rest above Hestabotnen on the south-east slope below Grånesene (1441m). View from our resting location, across to Klevanuten (1252m), then further east towards the upper part of the valley Rjoanddalen. 360 degree Summit Panorama, annotations credit Jonathan de Ferranti. Summit Panorama I, the view is west, from the west summit. Summit Panorama II, the view is north, from the west summit. Note that Hurrungane is visible in the distance. Summit Panorama III, the view is north towards east, from the east summit. Summit Panorama IV, the view is east, from the east summit. Summit Panorama V, the view is south, from the east summit.